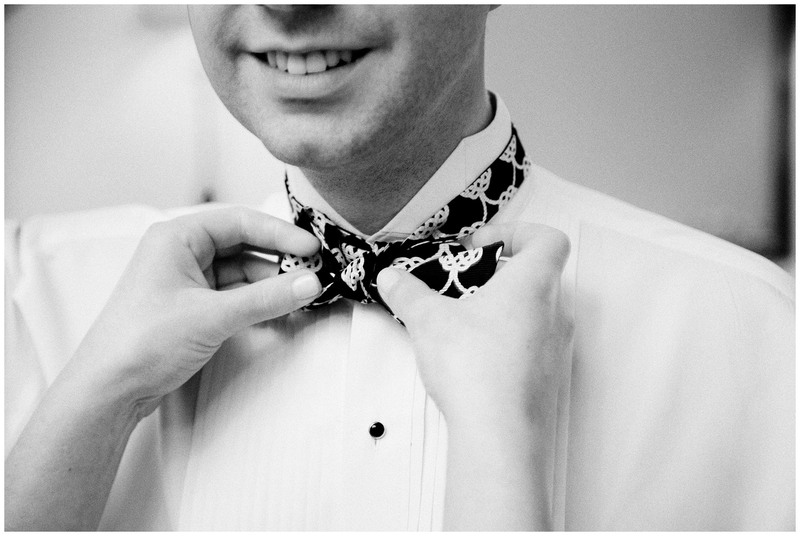 The groom gets his Southern Proper bow tie tied. Blakely and Ryan's gorgeous wedding at the Wesley United Methodist church on St. Simon's Island, Georgia was followed with an elegant reception at Ocean Forest on Sea Island. Planning and design by Wesley Cadle.